It would be great to have access to archived Montreal radio programming. There really is no comprehensive archive out there for the general public to access. 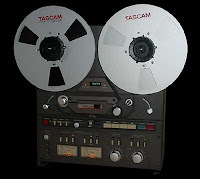 I doubt there are any vaults out there with old tapes of every known radio program produced in Montreal over the years. It would be reasonably easy to keep stuff nowadays with everything being digital. You can find some vintage stuff on the Internet, but not much Montreal stuff. Still, I did find a very interesting site with some old Montreal clips. Marc Denis' 1470 CFOX Montreal Radio Archive is dedicated to the long-departed CFOX. It is so refreshing to hear what it was like when local radio was still in local hands. There are some wonderful old clips on that site, featuring among others, the late Gord Sinclair, who was the station's original owner. This is a fantastic, MUST VISIT site for anyone with an appreciation for Montreal's radio history. CFOX broadcast for 17 years. It would eventually become part of the CKO news network, which some folks out there may still remember. It broadcast on 1470 kHz until going off the air in 1989. A lot of well-known Montreal radio personalities spent time at CFOX, including Ted Tevan back in the early 1970s. There are recordings of old commercials, newscasts and so on that would be fascinating to listen to. The CBC and Radio-Canada have some old archived programs posted on their web sites. We are lucky enough to have that kind of access to old newspapers and magazines. Perhaps with time, more stuff will resurface. I grew up in Pointe-Claire listening to 1470 CFOX. The station began in 1960 and was playing country music and in the fall of 1965 switched to rock music. I have many fond memories of CFOX and as a kid used to listen to it on my Eiffel Tower crystal radio.